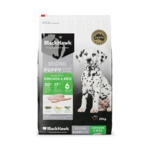 Clean food, that contains everything your dog needs and nothing that they don't: that's the way Black Hawk formulates their premium, all-natural food for dogs. 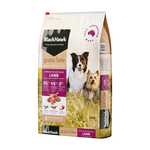 Every ingredient has a nutritional purpose – from real Australian meat for strong muscles, healthy bones and vitality, to healthy grains for energy and digestive health, and cranberries and blueberries for immunity and defence. 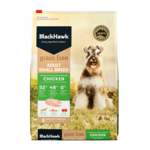 You'll also find emu oil, an ingredient known for its anti-inflammatory, anti-fungal and healing properties. Black Hawk is an Australian-made success story, rising to become one of the top-selling brands in order to offer better nutrition than most supermarket brands. Following the real pet food movement as well as holistic nutrition, Black Hawk dry kibble and wet canned food promotes inner and outer wellness while still representing a fantastic balance of value for excellent quality - especially when it comes to their 20kg bags. 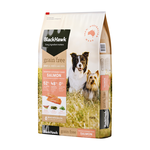 And, if you prefer a grain-free diet for your dog, Black Hawk has you covered as well, with grain-free varieties available for sensitive dogs. 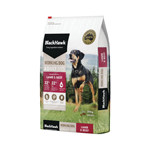 Black Hawk is also one of our top-rated dog foods, with 247 5-star reviews (and counting!) 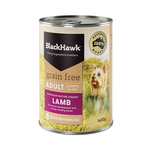 on their Adult Dog Lamb and Rice variety alone. 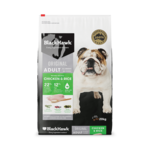 Both inside and outside of Pet Circle, many dogs are reported to do very well on Black Hawk, largely thanks to the abundant meat meals (superior to standalone meat, with its higher water content) and considered, balanced ingredients, which include around 25% protein and 14% fat across many of the varieties. 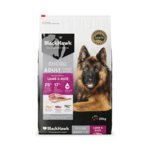 From reports of excellent coat condition to reduced itching to healthier stools, Black Hawk's benefits are actually able to be seen on your dog – whether they're a puppy, an adult, or a senior. 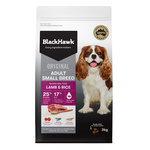 Please see individual Black Hawk products for a listing of ingredients as well as feeding guidelines, to make sure your dog is receiving their optimal diet. Black Hawk tailors a number of diets to dogs of varying ages, sizes, activity levels and lifestyle choices. 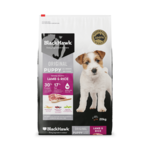 Puppies can enjoy lamb or chicken varieties, with the added benefit of large breed puppy food for puppies that have a lot of growing to do! Their grain free options are abound, with chicken, salmon, kangaroo and lamb varieties available in both wet and dry formulas. 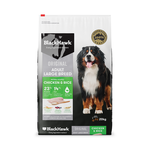 Large and giant breed dogs such as Bernese Mountain Dogs, German Shepherds and Golden Retrievers will thrive on the slightly lower fat and protein content of Black Hawk Large Breed Chicken dry food, with sustainable energy release for their larger size. 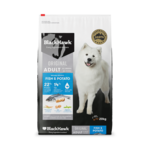 Wondering what our recommended Black Hawk foods are? 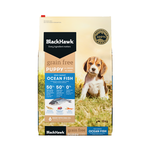 Buy Black Hawk dog food and cat food online at Pet Circle and enjoy the convenience of free delivery over $29 straight to your door, always at the best price with our price match guarantee.